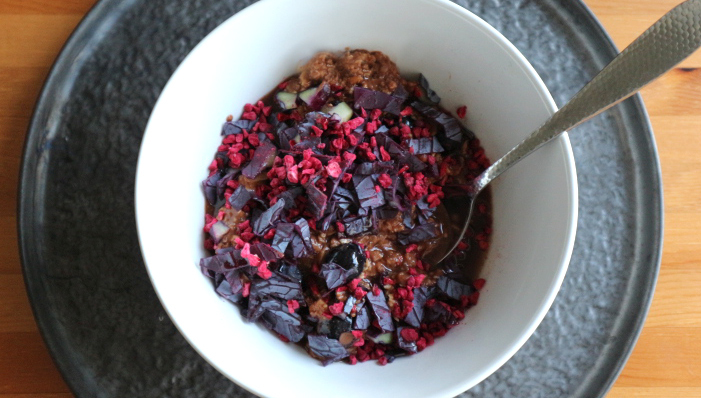 Try adding a handful of finely chopped raw purple cabbage to your oats in the morning. Mixed with berries you won’t be able to taste it. Cabbage is a nutrient dense powerhouse, the benefits include cancer-fighting antioxidants, Vitamin C to boost your immune system, calcium and manganese for healthy bones, potassium which is crucial for carbohydrate metabolism, B vitamins to help us turn food into fuel and magnesium which helps us cope with stress. A great way to start your day.